This blog began over five years ago as an effort to chronicle my search for my original family. Writing out my searching journey helped me process the experience; it enabled me to lend my voice to other adoptees as a budding activist. When I reunited, I changed the blog's focus to discussing adoption concepts and intersecting social justice issues. After blogging this long, I've learned that blog posts are always the most meaningful when they are reflected upon within the overall context of the blog. This is an adoption blog. 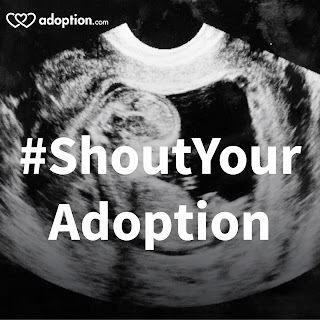 If you're new here, you might be wondering, "how does this blogger feel about adoption?" and "what are her experiences within adoption?" I've created this page to help readers understand how each post fits together. There are a variety of websites and blogs on adoption out there. This is an activist blog. As a social worker, I believe in using the knowledge, skills, and values of my profession, and social work's core purpose of social justice, to approach the institution of adoption. Social workers value individuals and their narratives; but we also seek to assess and make within the systems that surround individuals, groups, and communities. The most vital aspect of making change is collaborating, elevating, and supporting those most impacted by adoption. In adoption, these voices are often the least heard. As an adoptee, I believe in the power of human interaction and empathy. I believe engaging each other in critical dialogue about adoption, and highlighting adoptee voices, makes adoption better. "Those who do not have power over the story that dominates their lives--the power to retell it, rethink it, deconstruct it, joke about it, and change it as times change--truly are powerless because they cannot think new thoughts." This blog is dedicated to thinking new thoughts. 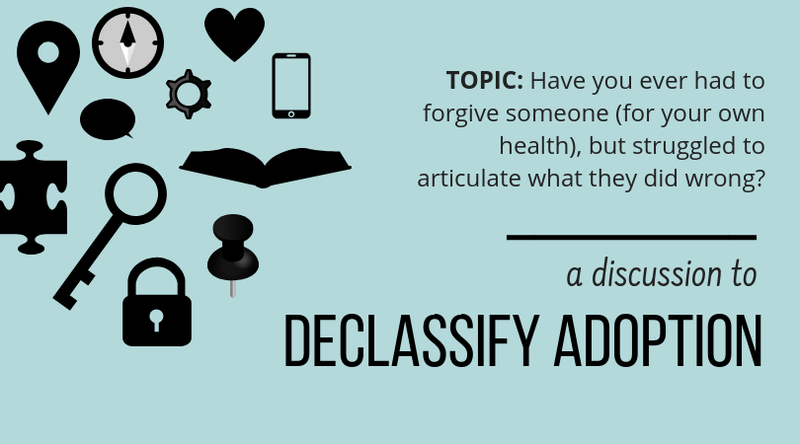 How do we Engage in Adoption Discourse? If you spend just a bit of time immersed in adoption community culture, you'll notice that we're often quick to categorize each other into one of two diametrically opposed sides: "pro-adoption" or "anti-adoption." This false dichotomy ignores the deeply personal and complex experiences of all those impacted by adoption. As adoption is a deeply personal life experience, it can be difficult to hear someone come to a different conclusion on adoption than we have. Rather than feeling threatened by the widely diverse stories and conclusions of adoptees, we should respect and honor each adopted person's meaning-making of their own experience without coming to hasty conclusions about their lives or parents. When we discuss difficult topics we should remember: adoption is an institution; it is not a person. We should be able to talk about adoption, how it impacts people in both good ways and bad ways, without feeling personally insulted. Very simply, I am pro-human. I support healthy and positive interaction between human beings and the institutions that impact their lives. I view adoption no differently than I view any other institution like marriage, religion, heath care, or education--to name a few. Institutions include some people while excluding others. Some excel within a given institution while others are left behind due to policy problems and other systemic barriers. Institutions contain stratified systems of benefits and privilege. An institution may benefit one person but may harm another. Institutions need continuous evaluation for their effectiveness and fairness. Where social injustice exists, it needs to be acknowledged and addressed. Adoption is not free from the same general strengths and challenges that institutions are known to encompass. Adoption activism is a continuous process of advocating for the welfare of everyone whose lives intersect with it. My objective is to challenge the common belief that adoption is a mysterious process that occurs in a vacuum and therefore should abide by its own rules and have its policies go unquestioned with the ultimate goal of seeing positive change in adoption. Adoption does not occur in a vacuum. Adoption is an institution that impacts the lives of human beings--especially vulnerable populations. As such, it must follow human rights, social justice, and children's rights frameworks. I want everyone to feel as though they can form opinions on adoption issues and make an impact when they talk to policy makers about adoption. 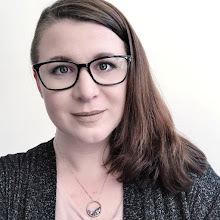 The CWLA once said, "adult adoptees are the only people who can tell us what being adopted is like in a society where most people are not adopted." This could not be more true; if you want to know what being adopted like, you must ask those who are adopted. There is no replacement for the invaluable adoptee narrative within adoption. However, I encourage all people to gain an interest in adoption issues and become an ally. You do not have to be an adoption expert to be an adoption changemaker. If you understand human rights and social justice frameworks, then you are equipped to assess the fairness of adoption concepts, policies, and practices and make positive change. Of course, this blog is not exclusively for people who think just like I do or who share my worldview. My own personal views are evolving each day as I work to be consciously aware of my own beliefs and biases and find my own way in this world. I am not just an activist. I am a story teller. I am a story listener. I am a person navigating reunion despite tough conception circumstances. I am an adoptee parenting biological children and learning to explain adoption to them. If universality, catharsis, empowerment, peace, or hope are what you find here, I will consider the blog's purpose well-served.